BERLIN — Horst Seehofer, the defiant German interior minister whose provocations have undermined Chancellor Angela Merkel’s government and eroded support for his own conservative party, said Monday that he would step down as head of the Christian Social Union, a key part of Ms. Merkel’s governing coalition. Mr. Seehofer’s announcement that he plans to retire from party leadership, although he said he would remain in his more powerful government post, comes two weeks after Ms. Merkel shocked the country by announcing that she would do much the same thing. The Christian Social Union, which exists only in Bavaria, is the sister party to Ms. Merkel’s Christian Democrats, who operate across the rest of the country. “I’m the federal interior minister and will continue to exercise my duties,” Mr. Seehofer said. His government job, he told reporters, “is in no way affected” by his decision. Mr. Seehofer, 69, has recently faced calls to step down from his government post, and he has been under pressure within his own party since it suffered severe losses in a state election last month. He had hoped to rally conservatives around him, but instead earned a reputation for reckless political moves. In June, Mr. Seehofer defied Ms. Merkel with his plans to turn refugees back at the border of Bavaria and Austria. They eventually hammered out a compromise, but the political cost of the episode was significant. 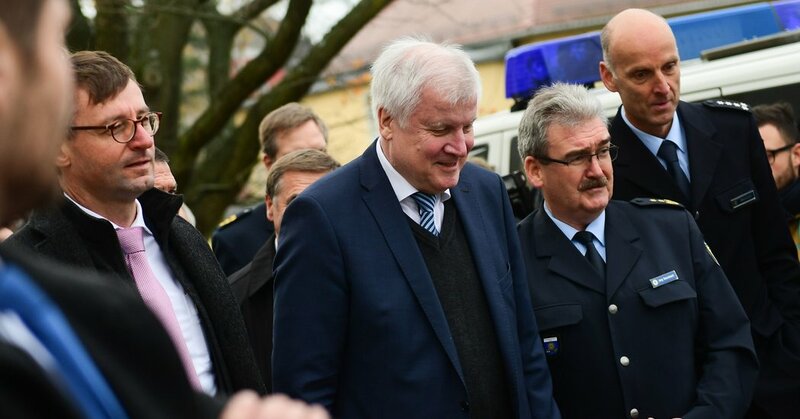 In two recent regional elections the allied conservative parties were severely punished, and Mr. Seehofer’s popularity has been tumbling in polls. In a news conference this summer, Mr. Seehofer joked that for his 69th birthday, 69 Afghan refugees were sent back to Afghanistan. What seemed like a tasteless joke quickly became tragic when one of the deported men hanged himself in a safe house there. “It can’t be denied that he was a troublemaker in the coalition since this summer,” said Ralf Stegner, a parliamentary leader of the Social Democrats, junior coalition partners in the government. Mr. Seehofer’s announcement means that by end of January, when his party will elect a new leader, all three political parties in Ms. Merkel’s shaky coalition will have new leadership. The Christian Democrats will select a leader in December, and the Social Democrats chose a new party chief, Andrea Nahles, in April. There has been widespread speculation about a shake-up in the government, as well, possibly forcing early elections. Party insiders learned on Sunday night of Mr. Seehofer’s decision to step down, at a meeting in Munich, and he confirmed it publicly on Monday morning. Mr. Seehofer was the governor of Bavaria, Germany’s wealthiest and most conservative state, for a decade, before joining Ms. Merkel’s fourth government as interior minister in March. Before becoming governor, he had spent 28 years in the federal Parliament and rotated through several ministerial portfolios, though none as important or demanding as the position of interior minister. How long he can remain at the heart of the Merkel government remains unclear. “Every day Horst Seehofer remains interior minister is a day too many,” said Katrin Göring-Eckardt, the parliamentary faction chief for the Greens, a party that has made significant gains since Mr. Seehofer returned to the federal government. Stimulus Plan or Populist Giveaway? Italy’s Budget Sets Up Clash With E.U.